Quiet yet powerful and highly energy efficient, floor consoles sit on the floor against a wall. They are a good consideration for homes of offices. Floor consoles should be sited where furniture does not obstruct the air flow. 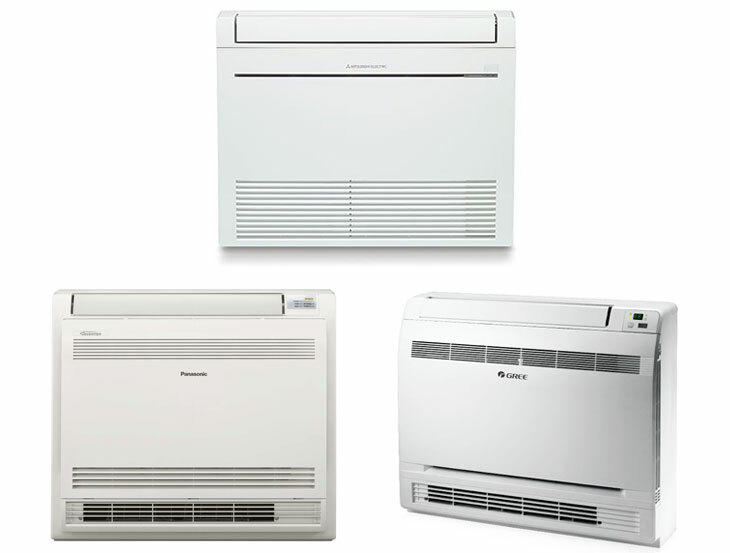 Contact Air Con today for a free assessment on your Floor Console Heat Pump needs.